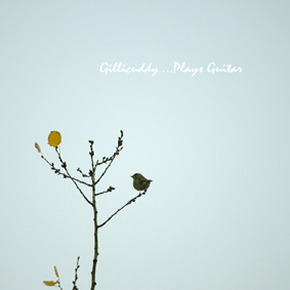 MP3 of the Day: Gillicuddy, "A Garden and A Library"
Today we're featuring a track from Andi Rohden (aka Gillicuddy) off his new album ...Plays Guitar, recently released by Moscow's Clinical Archives. Clocking in at 15 minutes, the album breezes through seven instrumental guitar pieces, all of which echo sincerity through their simple melodies and finger-picking. Gillicuddy has been releasing Creative Commons music online for quite some time now, so be sure to check his various online destinations below for more. Grab a cup of tea and enjoy "A Garden and A Library".